This week’s photo challenge was to shoot a photo with red as the dominant color. I was thinking about the challenge walking to work the next morning after reading the lesson and I realized that I had just gotten off a Red Line T train, walked past some lovely red flowers at a flower stand, and was on a red brick sidewalk in front of the Boston Fire Department West End Station. 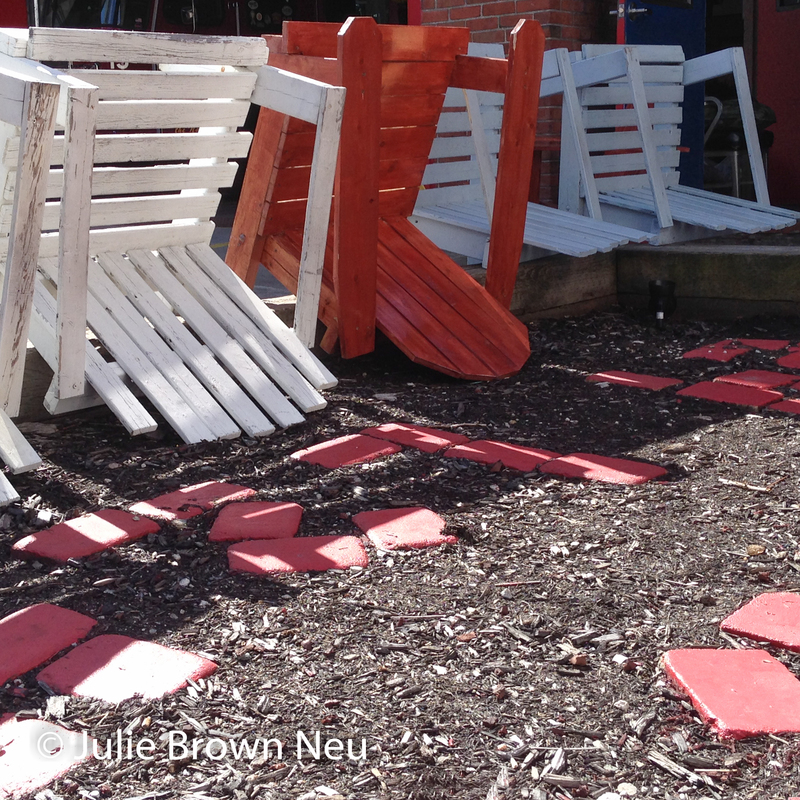 I had also walked past these Adirondack chairs outside the station. I realized that I should turn around and take the photo when I had the chance, even though the only camera I had was the one in my phone so that is what I did.